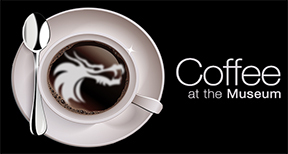 Burbank, CA – “Coffee at the Museum” is a unique, quirky and new entertainment show launched this month by the Martial Arts History Museum. Hosted by museum president Michael Matsuda and Black Belt magazine cover photographer Mario Prado, it is a weekly YouTube series that deals with martial arts history, Asian culture and tradition, health and fitness and fun places to enjoy that have a connection to the martial arts. The new show can be found on the Martial Arts Museum Channel on YouTube. The show, which tends to lean toward the 20-minute mark, provides an interesting perspective on the martial arts as seen through the eyes of the museum. Now it its third week, “coffee” shows have included an historical look at martial arts magazines and a three-part series on the impact of Bruce Lee. Upcoming episodes will feature the Japanese Obon festivals, the history of martial arts in films and an in-depth look at historical figures such as Ed Parker and Elvis Presley. “Coffee at the Museum” is a mixture of many popular television shows such as “Eye on LA” because it takes you to unique places in Southern California. One show in particular highlights location in which martial arts movies were shot or places that mark martial arts history. Like the “History Channel,” the show reveals how Asian history became part of American history. “Coffee at the Museum” can be located on the Martial Arts History Museum’s website at www.mamuseum.com or you can go directly to the museum’s YouTube Channel, https://www.youtube.com/channel/UCtWr8iErFSno5E95vQ-rhAg and even subscribe so that each person will receive a notification when a new episode is airing. The Martial Arts History Museum is located at 2319 W. Magnolia Blvd., Burbank, Ca 91506 and it open from 11 am to 6 pm, Thursday thru Sunday. The museum is a non-profit 501(c)(3) organization and welcomes donations, grants and sponsorships.